A true lover of dance and fitness for as long as she can remember, Leah started dancing at the age of 4 and continued to focus on dance throughout college earning her Bachelor of Arts degree in dance in 2004. After college she danced with several companies in Southern California including the Disneyland Resort. Although she loved performing, Leah found teaching to be her true passion. 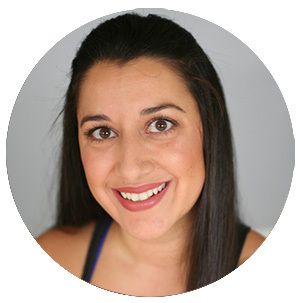 Leah started teaching dance then expanded her teaching career into fitness instruction after discovering Barre. “I’ve always believed that dance and fitness go hand in hand… Barre is a perfect blend of both." Leah started teaching Barre at V-Fit after moving to Ventura in 2014. She found herself energized and inspired by the V-Fit family… the clientele, her co-workers and her mentors, V-Fit founders Jami Klein and Kathy Lopez. She realized she wanted to further her education, focusing on fitness. She has since gone on to earn her NASM Personal Trainers Certification (CPT) as well as a certification in Mat Pilates, Spin and TRX®. She intends to keep learning and grow as a fitness instructor to be the best teacher she can possibly be.